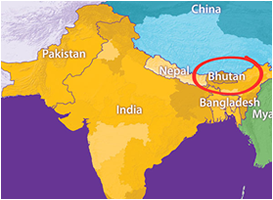 The political system of Bhutan has evolved over time together with its tradition and culture. It has developed from a fragmented and a disoriented rule of the different regions by local chieftains, lords and clans into the parliamentary democracy we have in place today. But a major breakthrough came about in 1907 when the people unanimously enthroned Ugyen Wangchuck as the first hereditary King of Bhutan. He was the man who had proven his mettle by banding together the different Dzongpons and Penlops (governors of the fortress), ending centuries of strife and bringing much-needed stability and peace to the country. Since then, the country has been ruled by successive monarchs of the Wangchuck dynasty. In a move to ensure more democratic governance of the country, the Third King Jigme Dorji Wangchuck instituted the National Assembly (Tshogdu) in 1953. Every gewog has an elected member representing it in the National assembly. It became a platform where the people’s representatives enacted laws and discussed issues of national importance. In November 2001, on the advice of the Fourth King, a committee chaired by the Chief Justice of Bhutan was formed to draft the constitution of Bhutan. The constitution was launched in 2008 and with it a parliamentary democracy introduced. The progression from Hereditary Monarchy to that of a Parliamentary Democracy has been a carefully managed process that culminated in 2008 when Bhutan held its first elections countrywide. The Druk Phunsum Tshogpa was mandated by the people to head the new government with a major victory with 45 elected members, Lyonchen Jigme Y Thinley steered the government with just two opposition members from the People’s Democratic Party in 2008. The term of DPT (Druk Phuensum Tshogpa) has ended and people have chosen PDP (People’s Democratic Party) on 13th July 2013 as the new government. Today Tshering Tobgay is the Prime Minister of the new government. The organs of the Bhutanese government comprise of the Legislature, Judiciary, and the Executive. The ruling political party, the opposition and the National Council now forms the legislative body.